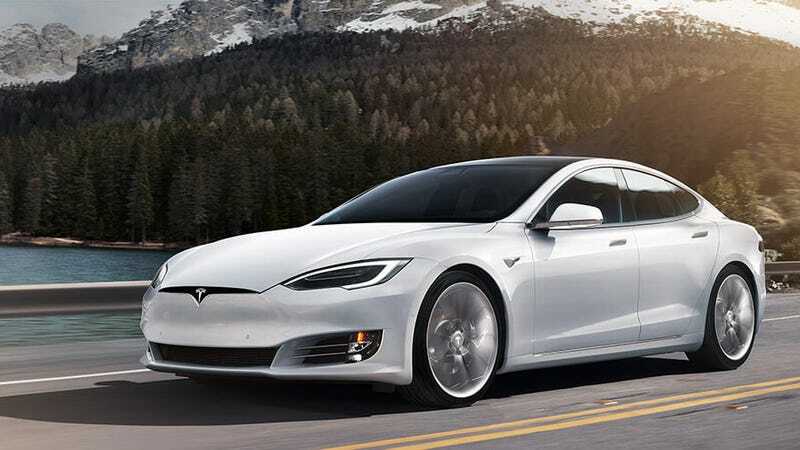 Last year the Tesla Model S outsold the Mercedes S-Class as well as the BMW 7 Series in their home turf of Europe. I assure you, the Germans are pissed, and if you listen carefully right now, you can probably faintly hear the screaming of Dieter Zetsche a continent away. This is the first time that the Model S outsold its loftiest German rivals in what you’d call the full-size luxury car segment, which is something that makes sense to type here, but not something that makes sense to bring up in conversation. “I’m looking for something in the full-size luxury car segment,” a richer, more boring fantasy version of yourself might say, right before purchasing a pre-owned Hyundai Genesis. If this all sounds a little familiar, last year Tesla outsold these same cars, but that was in the United States market, as CleanTechnica and GoodCarBadCar reported back in July. I cannot shake the feeling that today’s big push for electric vehicles across the German auto industry has much more to do with pride than it does with anything else. Volkswagen is on an all-electric tear ever since its company-wide “Clean Diesel” ethos got Dieselgated into oblivion. Mercedes has been going nuts of electric concepts, Audi seems determined to right the wrongs of its last wave of half-hearted electric conversions and BMW seems at least deeply concerned that its carbon fiber i-car hybrids haven’t exactly changed the game. Lots of EV concept cars from these manufacturers, and the first batch of production EVs looks like it’s just over the horizon from Porsche and Audi. But again, I’m sure there has been at least one meeting where some Volkswagen Group or BMW executive screamed for an hour straight as to why they don’t have an electric sedan and crossover competing against the Tesla already. They can barely put the panels on straight, I can imagine one mustachio’d exec yelling at a handful of other suits, and we can’t make anything better than an E-Golf? CORRECTION: This post initially stated that The Model S outsold its German rivals in their home country. In fact, it was across Europe as a whole.